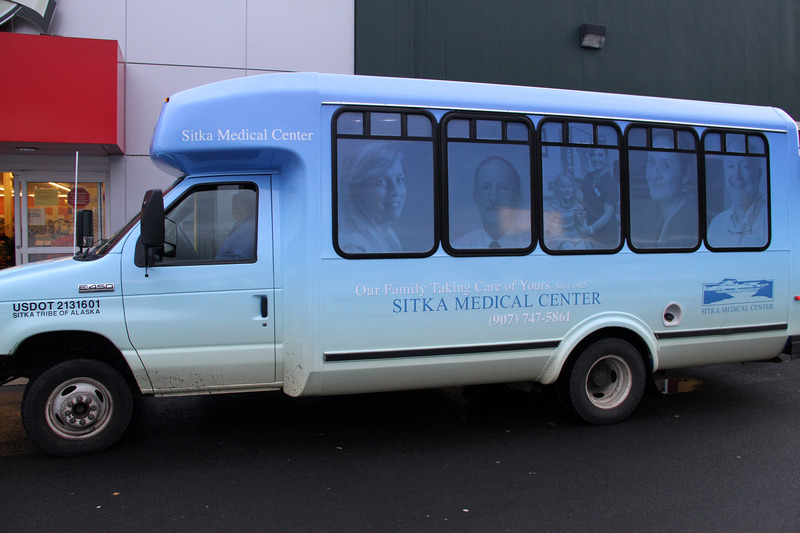 The Sitka Tribe of Alaska sells advertising space on the RIDE buses. Clients can purchase a bus wrap (where the entire bus is made into a moving billboard, as in the photo above), or post advertising signs on the outside and inside of the buses. To learn more about rates, specifications, time periods, etc., please contact Gerry Hope with Sitka Tribe of Alaska at 747-5910.